Founded in 1911, by a group of Sicilian immigrants from Santo Stefano di Camastra, the Holy Cross Society has continued to celebrate and pass on heritage to future generations of Santo Stefano di Camastra decedents. 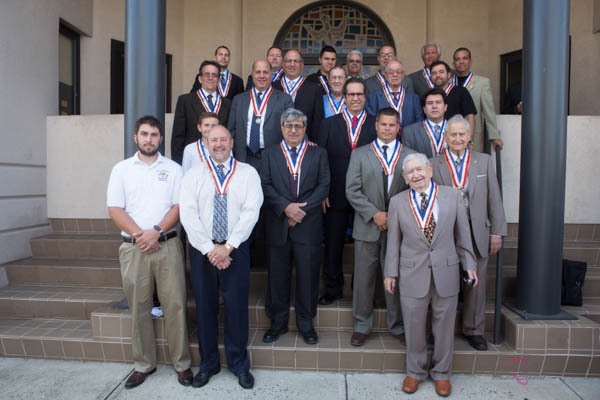 As one of the oldest Italian – American Organizations in the United States, the Holy Cross Society has been operating non-stop for over 100 years. In 1938, the Women’s Auxiliary was formed and in 1939 the organization started crowning a queen at the annual Holy Cross Celebration. In 1940, the organization purchased a plot of land at the base of Morgan Hill Rd in Easton Pennsylvania, where the park still sits today. Members donated between $1 and $5 to purchase the land and a copy of the document of members still sits on display in their chapel today. Celebrating Heritage still remains the primary focus of the organization. The second weekend in September marks the Annual Celebration. This event coincides with the original event still taking place today in Santo Stefano di Camastra at the Letto Santo Church. The Holy Cross Society still holds a mass as well as procession similar to the events in Sicily. This celebration has been held in Sicily for over 1,000 years. Membership in the organization is being solicited from recent immigrants and those who are direct descendants of the immigrates of Santo Stefano di Camastra and their spouses. Men can join the Holy Cross Society and women can join the Holy Cross Society’s Ladies Auxiliary. Those that have an interest in retaining our heritage and help continue our tradition for our family in the future can apply by filling out the application on the website (www.holycrosssociety.com) and submit the application to a current member. Please see our website for more information.